India's biggest car manufacture, Maruti Suzuki presently exporting its models to European countries. Now company is aiming to export cars to other new countries like South America, Middle East, Australia and the United States. Maruti has zoomed a strong 135 percent rise export during April and December 2009 by transporting 1.05 lakh cars against 45,000 cars exports in the corresponding period last fiscal. The company's purpose to export 1.30-lakh cars by the end of current fiscal, compared with last year's sales of 78,000 units. 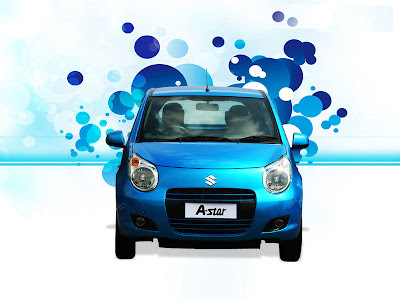 Majority of export constituted its Maruti A-Star car to European nations. A-Star had also added purchase during the recession period, when various European governments has launched scrappage scheme to boost sales of small cars. Company's Deputy general manager HS Brar said," we are average selling 8,000 cars per month in export markets, which have raised by 30 percent during the first nine months till December 2009. Maruti Suzuki has recorded 30 per cent sales growth in the northern region such as Chandigarh, Punjab, Himachal Pradesh, Jammu and Kashmir and Haryana (excluding NCR) in April till December last recent year, it raised against with the national growth of 22.5 per cent. He also focused that the their models price are going to be hiked to the growth in prices of lead, aluminum and other commodities. The company has still not declared to jump car prices.